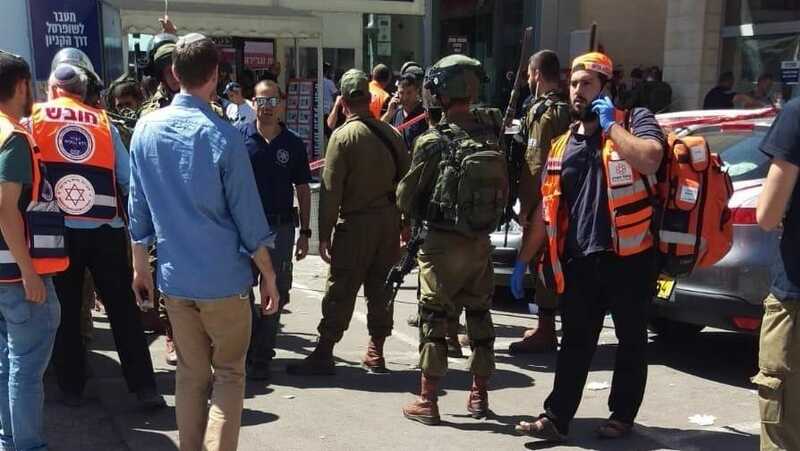 Palestinian terror attacks from the West Bank dropped for the fourth consecutive year, the IDF said Monday, releasing its summary of 2018. In 2018, the army documented 87 “terror events,” 10 fewer than the 97 recorded in 2017. This was a steep decline from the 169 in 2016 and 219 terror attacks in 2015. The IDF also considers attacks on soldiers, not just civilians, to be terror attacks. Sixteen Israelis were killed in West Bank terror attacks in 2018: nine civilians and seven soldiers — a slight decrease from the 20 killed in 2017, 12 of whom were civilians. However, the outgoing calendar year did see a slight rise in the number of people injured in terror. One hundred and ninety-nine people were injured in attacks in 2018 — 30 more than in 2017. Still the number marked a significant drop from the total injured in 2016 and 2015, when 263 and 360 people were wounded, respectively. According to the IDF, the number of shooting attacks was almost the same, with 33 in 2018, compared to 34 in 2017. However, there was a jump in the number of stabbings, with 17 recorded, up from 5 in 2017. There was a sharp drop in the incidents of stone throwing, with 2,057 recorded, compared to 5,082 in 2017. The army conducted almost nightly raids in the West Bank, arresting 3,173 terror suspects, confiscating 406 weapons and seizing NIS 2,156,089 ($572,754) in terror funds, the army said. In the Gaza Strip, the IDF said that it carried out 865 strikes in response to roughly 1,000 launches from Palestinian terror groups directed at Israel. Just 45 of those launches managed to land in built up areas within the Jewish state. Two hundred of them were intercepted by the Iron Dome missile defense system. The army also said that it had constructed 27 kilometers (178 miles) of an underground barrier designed to prevent terror groups like Hamas digging attack tunnels into Israel. The army said it destroyed 15 tunnels in 2018, including one undersea tunnel. However, the army provided no details on its efforts to contain the weekly mass protests along the Gaza border. The surge of violence in Gaza began in March with a series of protests along the border that were dubbed the “March of Return.” The clashes, which Gaza’s Hamas rulers orchestrated, have included rock and Molotov cocktail attacks on troops, as well as attempts to breach the border fence and attack Israeli soldiers. Incendiary devices launched from Gaza on kites and balloons also caused hundreds of fires inside Israel and destroyed thousands acres of farm land and nature reserves. Since the protests began in March, at least 150 Palestinians have been killed and several thousand wounded in the clashes. Hamas, which seeks to destroy Israel, has acknowledged that dozens of those killed were its members. During that time, a Gaza sniper killed an Israeli soldier. Another Israeli soldier was killed in a botched raid inside Gaza. On Israel’s northern border with Lebanon and Syria, the IDF summed up its activities by saying it built 13 kilometers (8 miles) of walls and another 2.5 kilometers (1.5 miles) in the Golan Heights. It also noted that IDF opened the Quneitra crossing between Israel and Syria for the first time since 2014. The army made no mention of the Hezbollah terror tunnels recently uncovered on the Lebanese border, nor the dozens of airstrikes carried out on Iranian targets in Syria. However, it did note that fighter planes flew more than 2,000 sorties, helicopters flew more than 600, and IAF drones flew 32,166 operational hours. The annual report also included some noncombat statistics, noting that 674 children were born to conscript soldiers and that it had provided vegan meals to some 10,000 soldiers. This entry was posted on December 31, 2018 at 11:14 AM and is filed under Uncategorized. You can subscribe via RSS 2.0 feed to this post's comments. You can skip to the end and leave a response. Pinging is currently not allowed.